Study on an English course in Vancouver, a beautiful combination of modern metropolis and wonderfully unspoilt landscapes. Tour designer shops amidst the skyscrapers of the West End, or walk amongst gigantic trees and ornate totem poles at Stanley Park. Home to the 2010 Winter Olympics, the city is consistently rated as one of the world’s most liveable cities, with cultural attractions to match. Whether it’s a film festival, live music, an ice hockey game or an art exhibition, there’s always something going on! 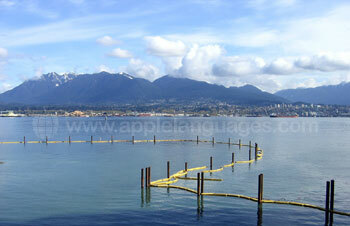 Vancouver is made up of distinct neighbourhoods, each of which has its own character and cuisine. Visit the tranquil Dr. Sun Yat-Sen Classical Chinese Garden in Chinatown; browse the colourful public market on Granville Island; or sample spicy Indian dishes in the Punjabi Market. The Kitsilano district is home to one of the city’s best beaches, where you can enjoy Vancouver’s surprisingly mild climate. Outside of the city, there are countless protected parks that are perfect for walking, skiing, cycling, sailing and all manner of outdoor pursuits. Your English lessons will take place in a modern building in Downtown Vancouver, close to Chinatown and the British Columbia Place Stadium. 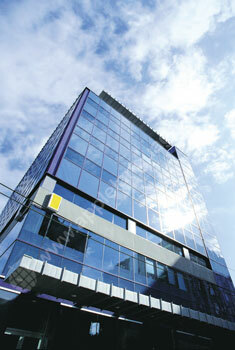 You’ll find everything you could want nearby, including shops, cafés and breathtaking views! 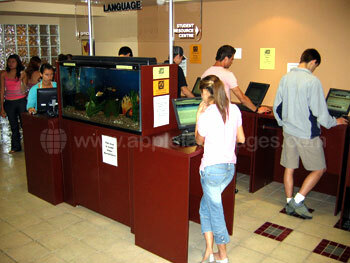 The school has excellent facilities, including two student lounges, two computer rooms and comfortable classrooms looking out onto the busy Downtown streets. Our school runs a large variety of English courses, but no matter which program you opt for, you’ll be taught by experienced, native English-speaking teachers. Every course covers speaking, listening, reading, writing and grammar, so you’ll improve your overall understanding of English. The Standard, Intensive and Super-intensive courses involve group-based tuition, allowing you to get to know plenty of other students. 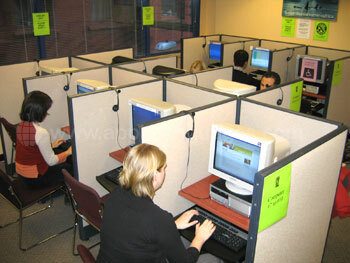 Unless you’re a complete beginner, you’ll have a level test on your first day, after which you’ll be placed in a group with other students at the same level. You can complement the Standard or Intensive course with 10 Private Lessons per week. Spend this extra time with your teachers reinforcing English learnt in group classes, or work on more problematic aspects of the language. Courses consisting entirely of Private English Lessons are also available, during which your teachers can focus entirely on developing your language skills as quickly as possible! If you have more time to learn English in Vancouver, you may be interested in one of our school’s Academic Year courses. Lasting for 28, 32 or 36 weeks, they include 20 or 25 English lessons per week, at a lower price than regular group courses. 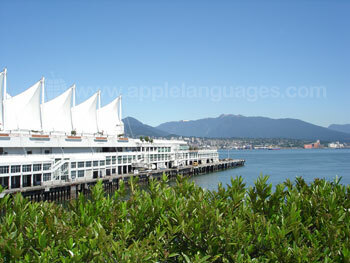 Contact us with any questions you may have regarding an English course in Vancouver – we’ll be glad to hear from you! Totally immerse yourself in the English language and the Canadian culture – live with a local, English-speaking family! You’ll receive two meals per day and constant language practice when you’re at home, helping you to carry on learning English after class. A host family may comprise a traditional family of parents and children, a couple without children or a single person. Our school carefully checks host families and only works with the friendliest, most capable hosts. 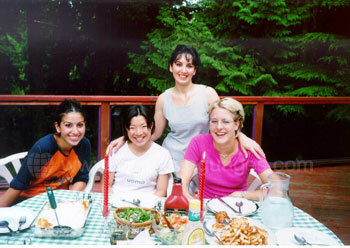 Meet new people and discover Canada whilst you learn English in Vancouver! 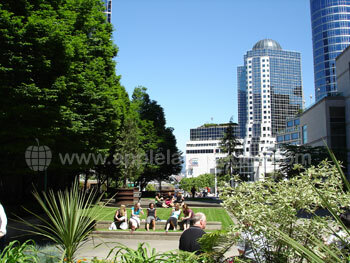 Every week, our school organises activities like Vancouver city tours, trips to Stanley Park, school parties, ice-skating and evenings at traditional pubs. Excursions are arranged for the weekends, with typical destinations including Whistler, picturesque Victoria, the exciting US city of Seattle and the Big White Ski Resort. 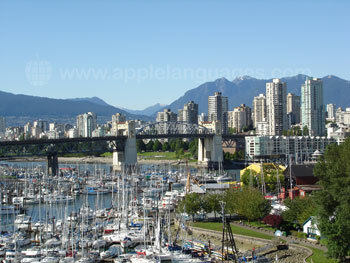 Many activities are included in the cost of your English course in Vancouver, whilst others carry an additional charge. If you like, representatives from our school can collect you from Vancouver International Airport. This service is not, however, included in the cost of your course.